Gov. Martin O’Malley at podium flanked by Senate President Mike Miller, left, and House Speaker Michael Busch. Front row, from left: Attorney General Doug Gansler, Chief Judge Mary Ellen Barbera and Lt. Gov. Anthony Brown. Yes, there are times when a picture is worth a thousand words — and more. Such was the case in Annapolis on Thursday when Gov. Martin O’Malley turned in an all-too predictable, stilted and boring valedictory in his concluding State of the State Address. There’s a reason the legislative response was tepid. They’d heard nearly every bit of O’Malley’s speech before. There was nothing new in his formal remarks, no surprises, no informal, heartfelt ad libs. The one exception: A cryptic line from an Irish writer O’Malley dangled for listeners but never explained. Put O’Malley before a large audience in a formal setting and he delivers a stilted, overly theatrical speech. Yet this same politician, placed in front of a campaign crowd, turns dynamic. Gov. 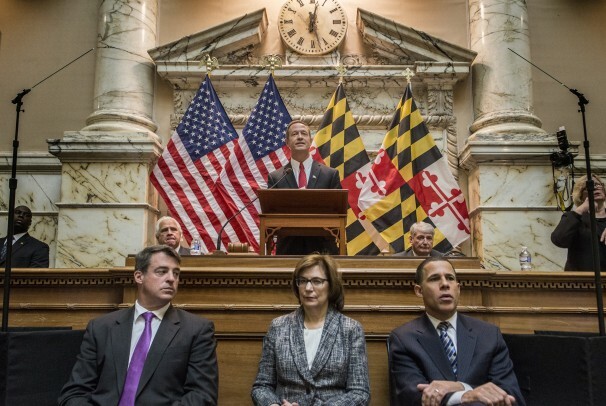 Martin O’Malley delivers his 2014 State of the State Address. He missed a golden opportunity last week to sum up his time in office the way historians are likely to judge it. 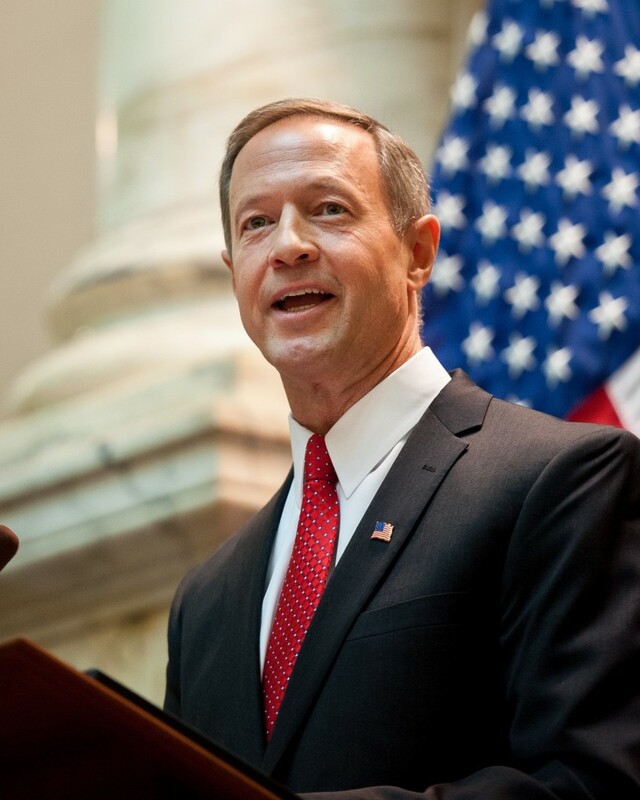 O’Malley governed during the worst economic times in 70 years. He kept Maryland’s ship of state afloat and in good shape during the Great Recession. He did it by slowing, rather than reversing, the rate of government. He shrank employee ranks, but did it through attrition rather than layoffs. He used budgeting gimmicks and fund-shifting to keep things together in very lean years. He raised taxes often — maybe too often — to avert massive state and local cutbacks. As a result of his work, Maryland is emerging as a state with a solid foundation, an educated work force and an optimistic future. Are there big problems O’Malley will leave behind a year from now? Yes, indeed. A hostility in Annapolis toward the private sector (“tax the rich”) that could cost Maryland jobs and businesses. A deeply flawed health care insurance program that may unravel. A progressive agenda that relies too heavily on taxation and government mandates to solve basic social woes. An ineffective and weak economic development program that receives minimal support. A belated effort to improve transportation options. A tax system lacking in equilibrium and fairness. Structural budget gaps that will handicap future governors. A bitter split between conservative rural and newer suburban areas and the liberal population core in Central Maryland. O’Malley, meanwhile, has turned his focus to a larger political objective on the national scene. He does have an interesting argument to make, even if he stretches the truth about the Maryland story. What he failed to provide in his speech was a “way forward” for the state after he leaves office. Yes, he brought us through the Great Recession in surprisingly sound shape. But governing in a time of slowing developing prosperity, while facing a bitter political divide, requires a different mindset. O’Malley left us in the dark on that one.